As the medical director of the Harlem Pediatric Associates, Christopher A. Phang, M.D., provides acute-care services to the tiniest and most vulnerable children. With unaffordable health care swelling the ranks of uninsured Americans, the minority community he serves welcomes his medical expertise and philanthropy. ?I have seen patients in the office who do not have medical insurance,? Dr. Phang says. ?I work with the family on a suitable payment arrangement or refer them to one of the many free clinics around New York City.? While progress has been made in implementing programs that enable almost everyone to receive adequate medical care, much more needs to be done, he says. Diversity has been the buzzword for the past decade or so, but that much-touted practice continues to elude the medical field. ?Racism is still prevalent in the medical field. It plays a role in the health disparities seen between African-Americans and others in this country,? Phang says. Phang frequently shares stories of how patients and their parents mistake him for an orderly or service worker instead of a physician. ?Many times, when I walk into a patient?s room dressed in a shirt and tie and a stethoscope around my neck, someone will ask me when the TV is going to be turned on,? he laughs. For this young medical professional, the key to combating such stereotypes, myths and questions of whether an African-American or a white person makes the better physician is to simply focus on providing the best and most competent care to a patient. ?People of all races recognize compassionate and competent care,? he says. ?When they receive it they will always come back to you.? Phang holds an undergraduate degree from Rutgers University and earned a medical degree from Mount Sinai School of Medicine in New York. 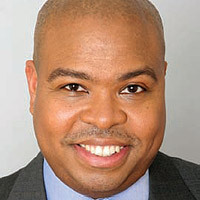 He has been executive director of Harlem Pediatric Associates since May 2006.